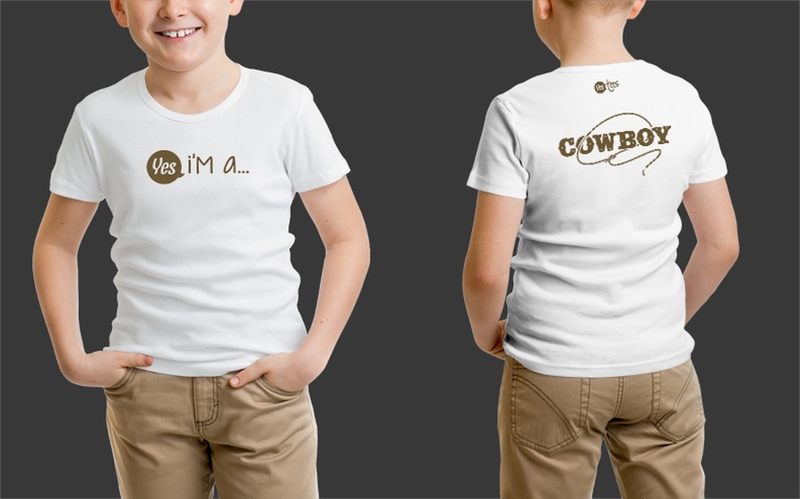 Brown Cowboy Graphic on a White Tshirt Available for Men and Kids in 11 Different Sizes. White Cowboy T-Shirt is Available for Kids from Age 4 to 16. 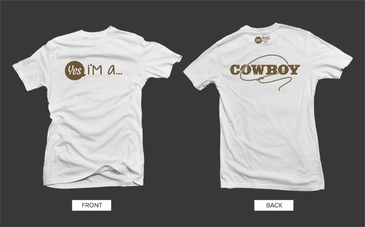 Style: Premium White T-Shirt for Cowboys. 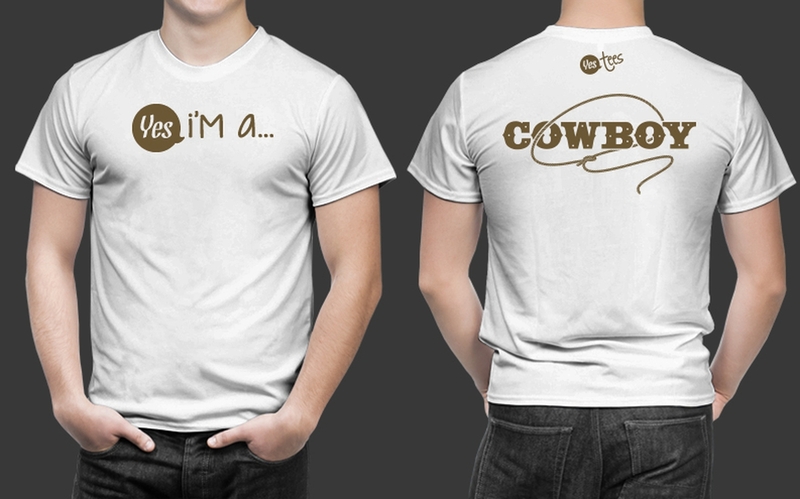 Comfortable, casual and loose fitting, our heavyweight white color T-shirt will quickly become one of your favorites. Made from 100% combed and ring-spun cotton, it wears well on anyone. Select a design from our marketplace or if you would to wear a different Cowboy T-shirt, let us know! 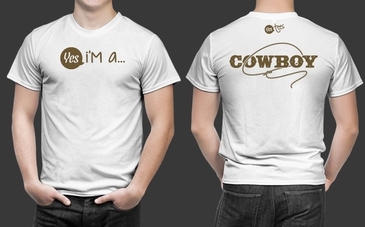 Are you or someone you know a Cowboy? 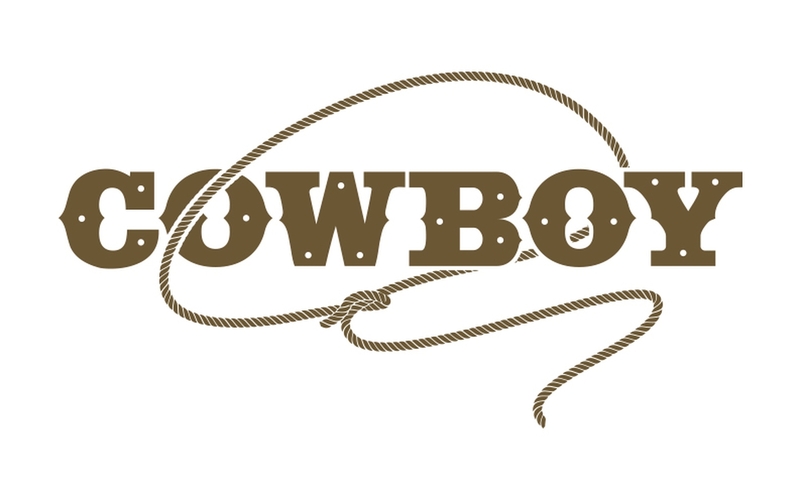 You're America's favorite icon - the cowboy. You were born to wrangle cattle, shoot guns, chase the ladies and saddle horses. You live a rugged lifestyle and aren't afraid of anything or anyone. You're in your element in the wild. You love nature and enjoy sleeping under the stars singing campfire songs. You were raised at rodeos. Whether participating riding bulls or following avidly, rodeos are your favorite pastime. 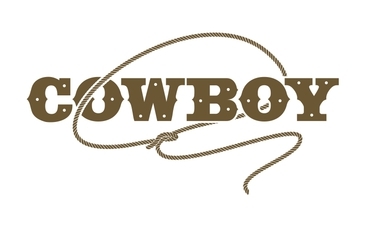 Being a cowboy is more than just wearing a hat and driving a pick-up truck. Being a cowboy is in your character. It's having the passion to do what's right and working hard for what you want. You stand tall with integrity, honor and courage. You're a true gentleman, except when someone's attempting to rustle your cattle, of course. 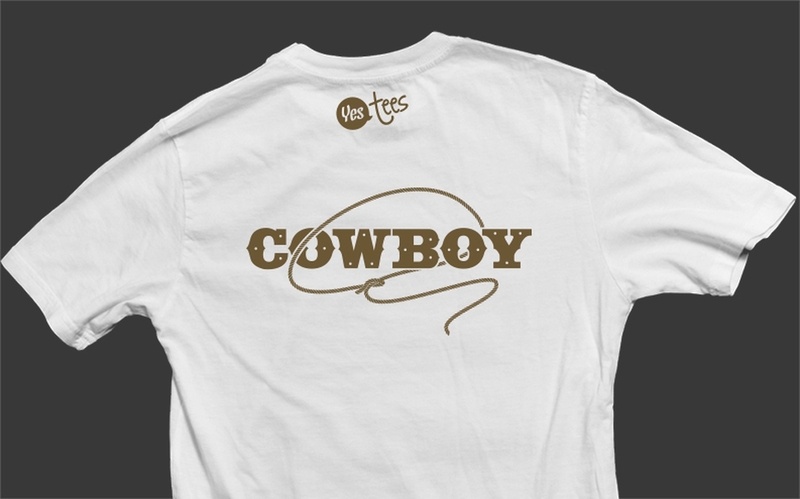 Your blue jeans, belt buckle, cowboy hat and boots are everyday attire for you - and thanks to Yes Tees - so can this T-Shirt. Cowboy up!